First day @ Pacific marine Expo was busy! The first day of the pacific marine Expo was a busy one. Great time to chat with old customers and friends and meet new ones. Looking forward to good conversations and new partnerships in Day 2! 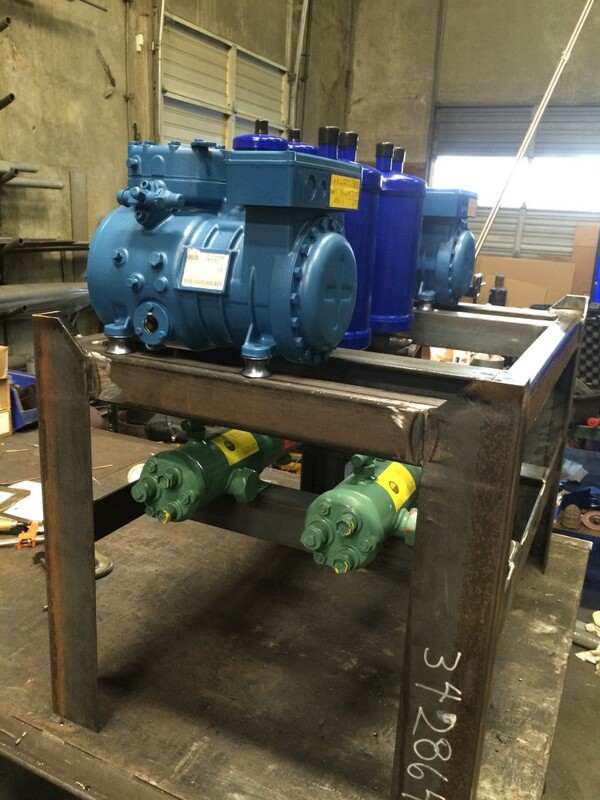 Early stages of a condensing unit for a Fishing vessel’s provision system. 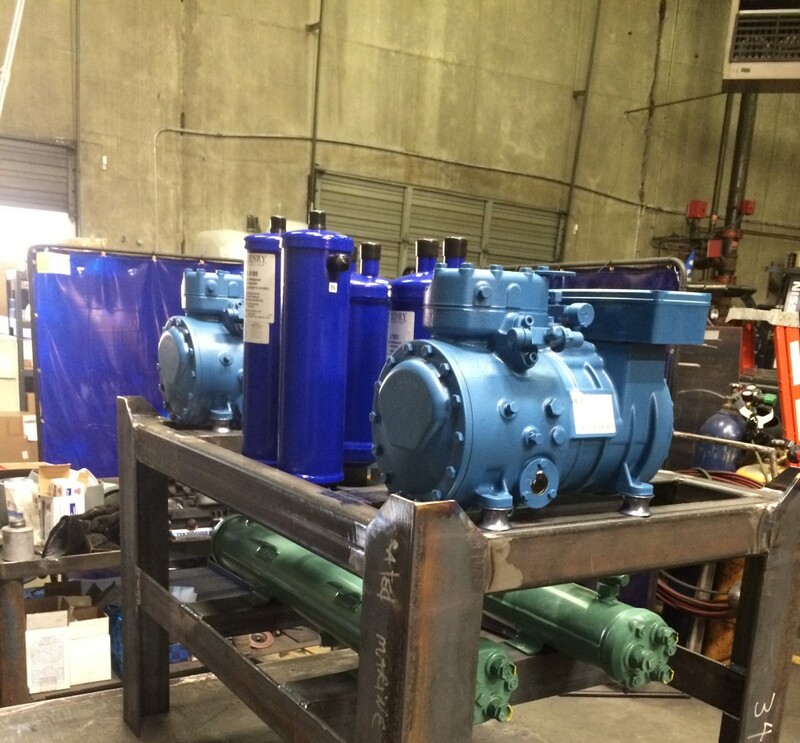 Frascold Compressors, Bitzer Condensers and all Teknotherm’s Marine refrigeration expertise, engineering and quality. The final project will also include our very own Teknologic control panel. 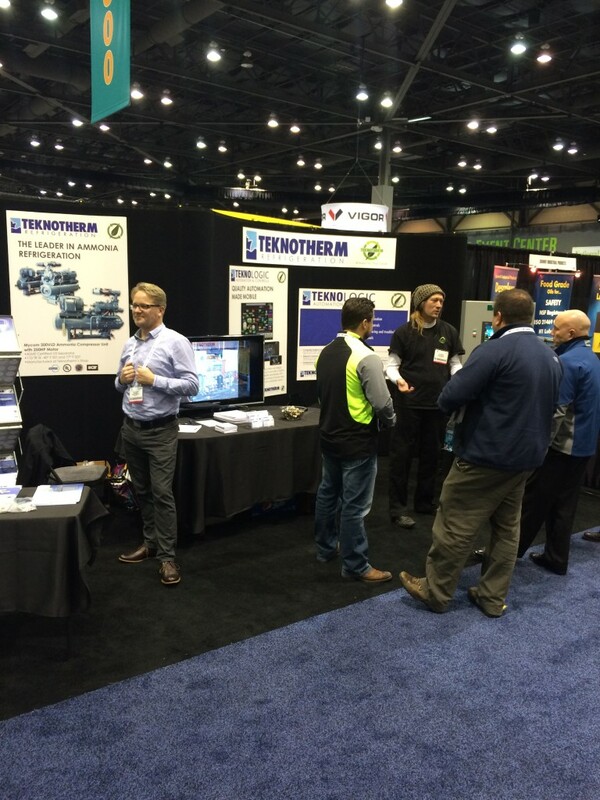 Showing once again how Teknotherm is your Complete Refrigeration Solution! 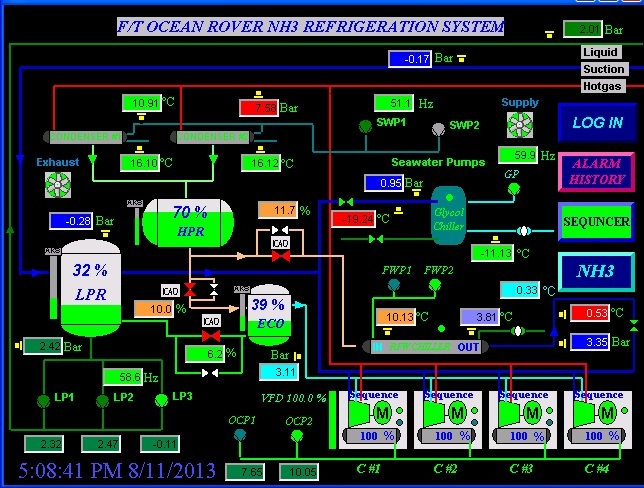 Marine Refrigeration and Automation on Display at Pacific Marine Expo, Booth 421. The Pacific Marine Expo is in two days and Teknotherm will be displaying our state of the art PLC control panel system equipped with mobile control. With our Automation system installed in your Fishing vessel, shore plant or any of your systems, you can run your system with ease on your mobile device from anywhere there is internet connection. Our Automation system also allows us to monitor and trouble shoot your system without being onsite. If your system is in the middle of the Bering Sea or a remote site, our trained Service Engineers can help make changes and troubleshoot 24/7 without the expensive cost of flying us to the site. Please stop by the Pacific Marine Expo, Booth 421, and come see what we have to offer on the Automation side of things. 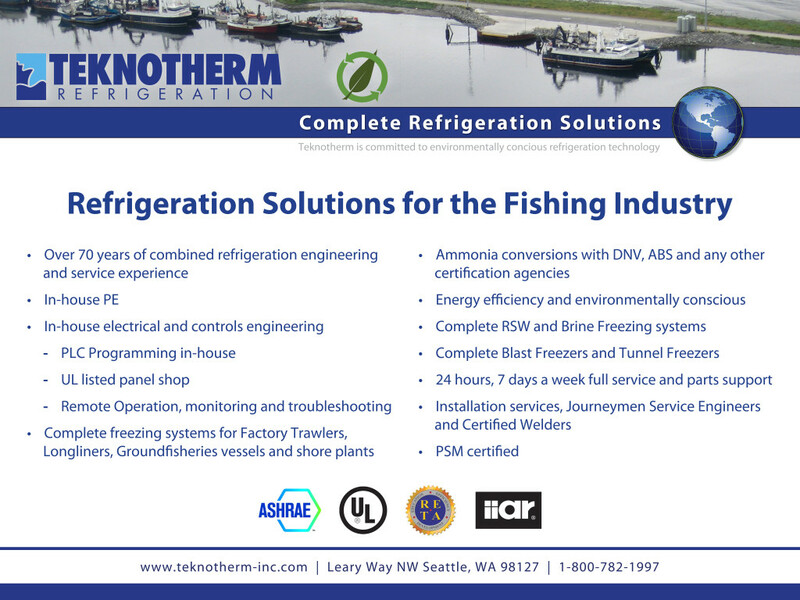 Teknotherm continues to be the Complete Refrigeration Solution for any industry. We can take your project from the Engineering and custom builds to the install and 24/7 service and future troubleshooting on your system. Having one company to take your project from beginning to end means less delay and headache and more savings and peace of mind. The Pacific Marine Expo is a less than a week away. Please stop by Booth 421 and come see us. Teknotherm is your Complete Refrigeration Solution. From engineering to manufacturing, install and 24 hour support, Teknotherm will be with you every step of your project. 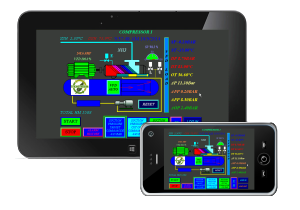 Including complete Automation and Controls for every part of your system. 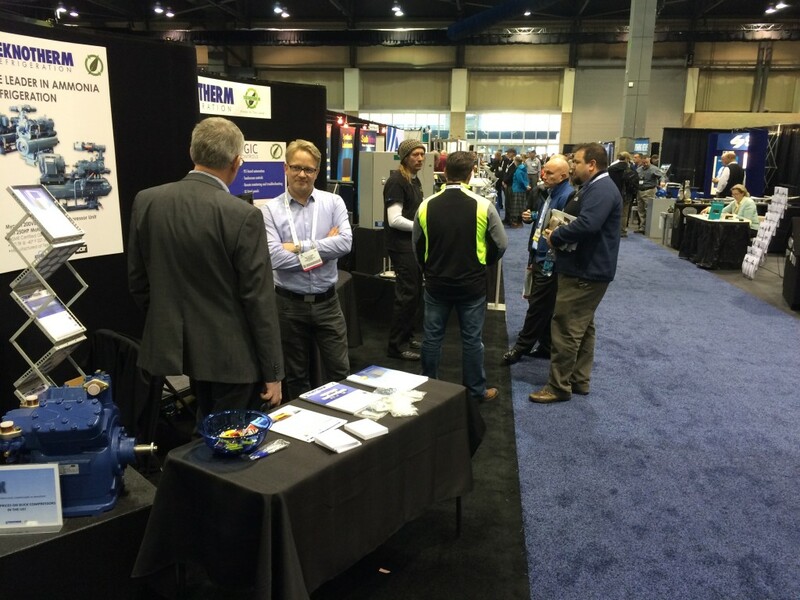 Come by and find out how we can optimize your system? 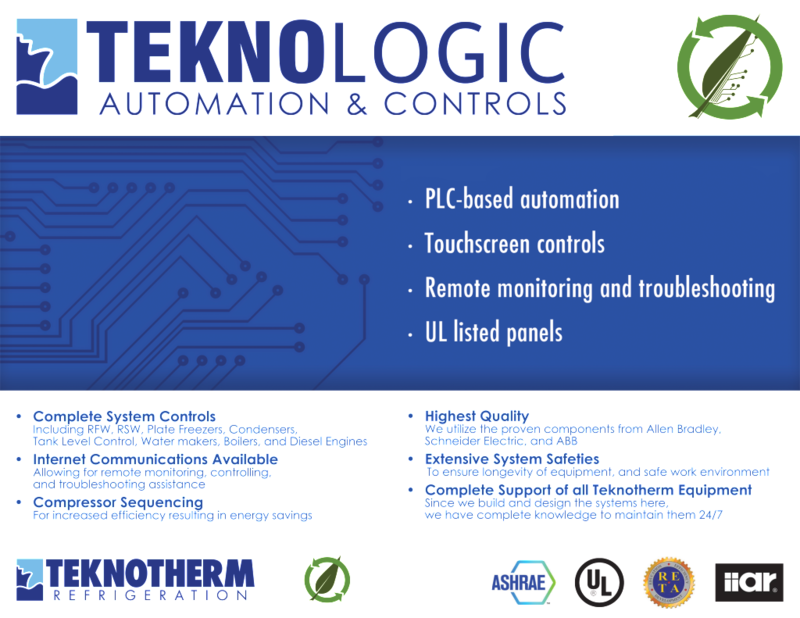 Teknotherm introduces Teknologic, our UL listed panel shop where we have been designing, building and testing our own controls for over 13 years. This allows us to provide a highly customized automation solution that integrates seamlessly with our industry-leading RSW systems, Condensers, Plate Freezers and much more. 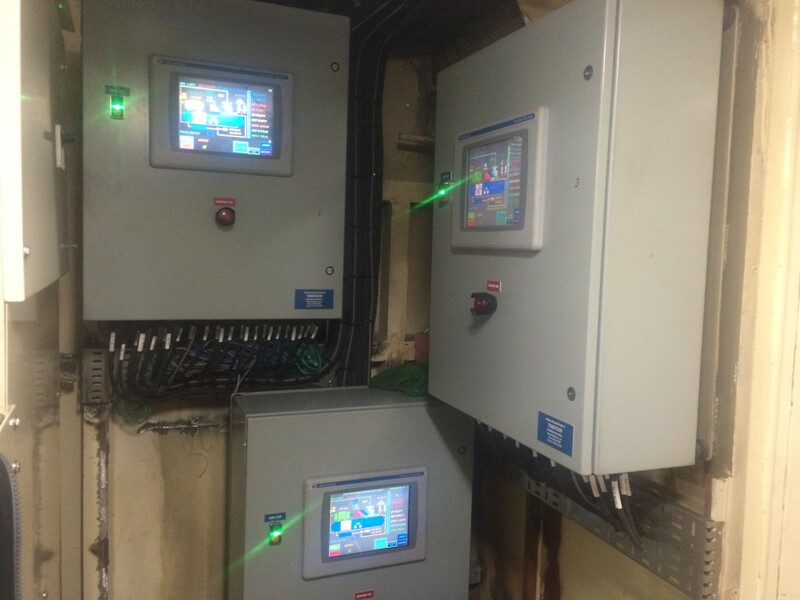 With remote monitoring, we are able to help troubleshoot from anywhere there is an Internet connection and, likewise, you can run your system with your phone or tablet anywhere on the vessel or shore plant. Building controls in house also allows us to provide the long-term support our customers need and expect.